Conservation biology has gradually become one of the mainstream fields in contemporary science. The importance of biodiversity conservation is apparently straightforward to understand: because of global urbanization, industrialization and climate change, people become more knowledgeable about the harmony between human beings, society and nature. Biodiversity science is a leading multidisciplinary science in the 21st century. In Asia, there are two BRIC countries: India and China. Both are giant and developing countries. The population sizes of both countries rank in the top two across the nations of the whole world. In comparison with developed countries, biodiversity surveying in most Asian countries seems not so comprehensive. New species are continually discovered and reported across the region, and the mega-biodiversity and original forests throughout the region provide invaluable resources for ecologists to explore biodiversity patterns and test relevant ecological theories. 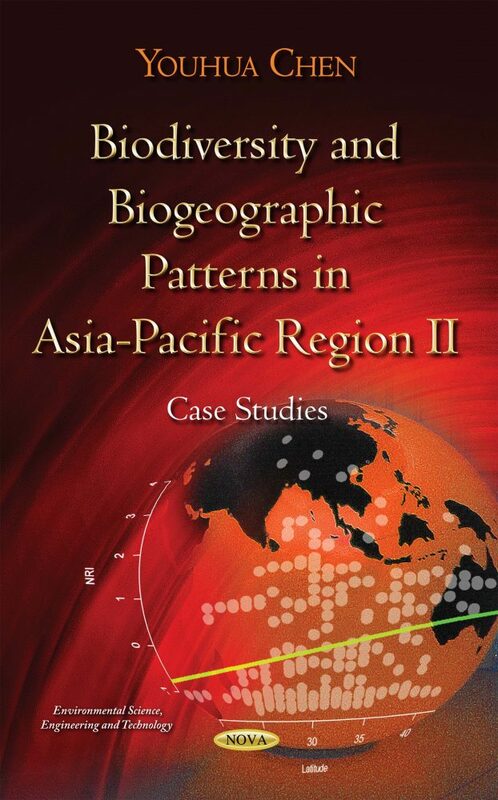 This book thus conveys valuable information for researchers interested in the biodiversity conservation issues of the countries across the Asia-Pacific region. In the book, the author applies contemporary statistical methods and numerical techniques to study the biodiversity and biogeography patterns of different taxonomic groups over the region. These case studies are up-to-date and reflect the latest advances in the field of biodiversity science and conservation in the region.